I’m writing this article on Thursday 19th October – A day that may be remembered as the day Internet Explorer finally caught up with the rest of the world as today Microsoft finally released the completed version of Internet Explorer 7 to the public.You have to excuse my cynicism but whilst the browser is undoubtedly an improvement on the bug ridden Internet Explorer 6, I am actually amazed it has taken so long to release a version which essentially brings them up to date with the likes of Firefox. Whilst I’m not saying there is anything wrong with this new version, it does seem strange that Microsoft has taken so long to include features that have been freely available for years through alternative browsers.In the interests of a fair review however I will detail the new features this new browser will offer for users still using Internet Explorer 6. The main emphasis on the new browser seems to revolve around four main features – Improved security, tabbed browsing, RSS feeds and simplicity. 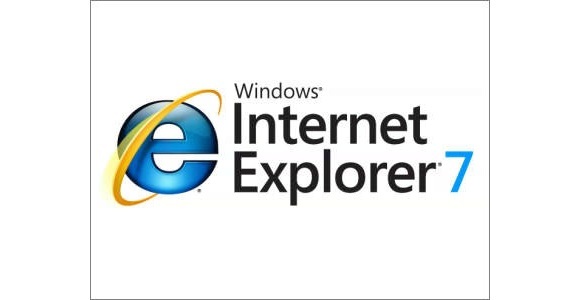 With Internet Explorer 7 Microsoft has managed to close the numerous security vulnerabilities present in the previous version although how long it will be before numerous holes are found in the new browser is yet to be seen.The browser also benefits from a built in anti-phishing filter to protect users against fraudulent websites such as those that masquerade themselves as PayPal or an online banking service in an attempt to fool you in to giving them your personal information.The security issues present in the older version of Internet Explorer would explain why Microsoft will be making sure that this November anybody using automatic updates in Windows XP will have the new browser installed automatically. Tabbed browsing which has been available for many years through the likes of Firefox and Opera allows users to have several different websites open in tabs using just one Internet Explorer window.The quickest way to open a new tab whilst browsing is to either hold <CTRL> whilst clicking a link or hit Alt & Enter if you wish to open up a new blank window.To navigate around the tabs simply click the relevant tab from the just below the address bar within Internet Explorer. RSS feed support is present in the browser and rather than just matching the features present in the current version of Firefox Microsoft has actually improved on them.I have covered RSS feeds before in Click so won’t dwell too far but for those readers who are unaware, RSS feeds are an easy way to subscribe to news and articles websites and so this new addition is welcome. In terms of simplicity the interface has been streamlined so that all the menus are hidden by default and instead have been logically replaced beneath several different icons – For example, the Page icons drops down a separate menu which lets you copy, paste, change the text size and so on.Personally I hate this new interface as it completely disregards the standardisation which makes most Windows applications so easy to navigate.Die hard users such as myself who prefer the old style can revert theinterface to something more familiar although I have kept the new interface running for the time being to see if I can be converted. All in all this new version of Internet Explorer doesn’t really do enough to put Microsoft ahead of alternative browsers available and whilst I have installed it on my machine I will probably stick with my old, faithful Firefox for now.If you are still using Internet Explorer 6 you should without fail download the newer version now from www.microsoft.com as to not do so would be denying yourself of several years of progress.